Kirk, I have to say you are clearly someone that understands the true concept of an executive leader. It has been a long time since I have read a great response to a great question. I only hope that the people reading your [IT executive leadership views] take a step back and understand the message. I hear way too often the same 10 things of what a CIO thinks and what a CIO needs to do … the issues always around costs and operations. The problem has been many of the CIOs have never really been part of the executive team to understand what the CEO and the board is looking for. Many of them have not run a P&L and nor have been managed to EBITA. Many of them have not been through a board meeting with equity owners asking the hard financial questions about the business and how is the CIO going to change my business. Thank you. 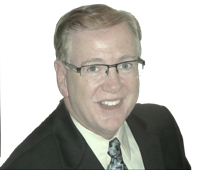 “I have known Kirk for over 25 years and I can recommend him to any company who is looking to foster innovation thru strategic planning and vision. His grasp of technology, strategy, process and its impact on business is unparalleled.